Jill discovered the joy of chess through her children, and learned alongside them while they were in Preschool. As a volunteer, she runs one of the largest single-school chess clubs in the US, with over 140 players and National titles. An advocate for girls, Jill directs Queen’s Quest, the largest all-girls elementary tournament in the US. Jill is a published author and has been featured in many media outlets, including FOX, NPR, NBC, CNN.com, MSN, and CareerBuilder, NY Post, and the Seattle Times. Jill has been a guest lecturer at the University of Washington, and has been invited to keynote at some of the world’s most innovative and respected organizations, such as Google and Wachovia. She holds a degree in Mechanical Engineering. Marty Hirsch is a former NASA engineer who entered the game industry because of his love for chess. He has won many awards including the World Micro-Computer Chess Championship and a NASA Commendation for contributing to the success of Voyager. As Chief Technical Officer for the World Chess Network, he designed and developed one of the world’s most user-friendly Internet chess locations. 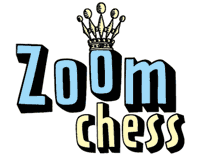 He assembled the Content Management System for the United States Chess Federation. He engineered the software at ChessMagnetSchool.com, a chess education system, and produced the online play site for America’s Foundation for Chess. Marty has published in Mathematics Magazine and Advances in Computer Games 9, and he was cited in Scientific American’s Mathematical Circus. Marty has a B.S. in Applied Mathematics from CSUN. He has designed and developed products for the aerospace, aviation, security, entertainment and education industries.